The item is sold out and unfortunately no longer available. 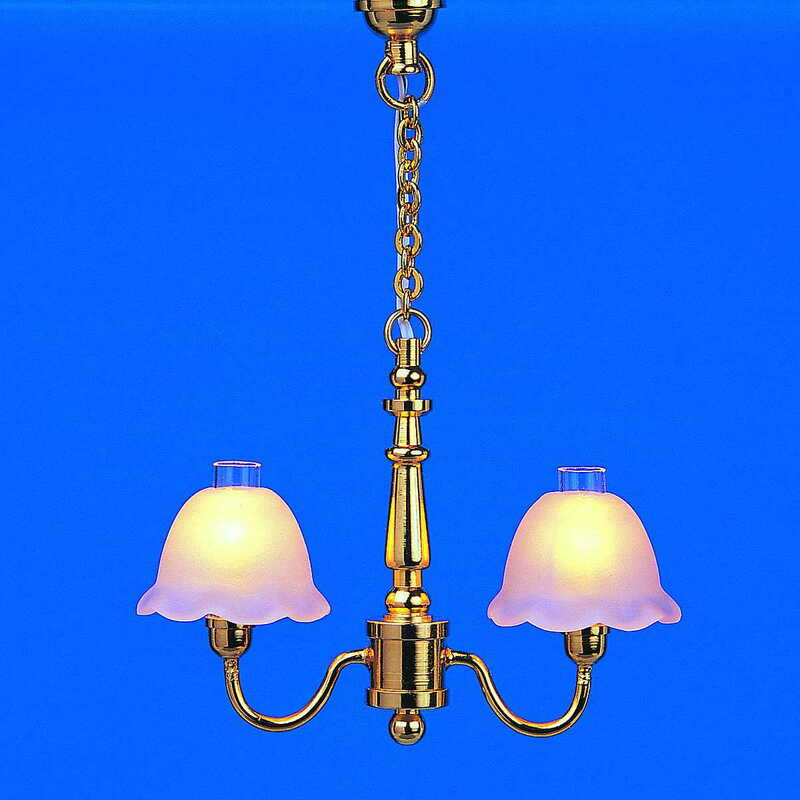 2-tier BRILLIANT Series gas lamp with glas covers. All BRILLIANT miniature lamps are equipped with a 60 cm long connecting cable without plug. The lighting system developed and patented by Mini Mundus for miniature houses makes it possible to use special stucco rosettes (22400, 22410, 22420) with an integrated connector to easily plug the chandelier into a ceiling socket. In addition, the chandelier canopy is equipped with a screw thread, which lets the chandelier be easily attached to the ceiling rose.